Over the last decade there have been a number of new orthodontic straightening devices released onto the market offering improved teeth straightening without some of the sacrifices demanded by conventional braces. Perhaps the most impressive of all these new treatment methods is Invisalign. This is a system that offers patients an almost completely invisible brace minimizing the visual impact that puts so many patients off wearing braces. Invisalign uses a series of one-millimetre thick plastic retainers to gradually reposition the teeth over the course of the treatment. Each retainer is worn for as period of between two and three weeks before it is replaced by another with a slight adjustment. In all there are about twenty to thirty retainers used in the average treatment meaning that the usual length of treatment is about 18 months. 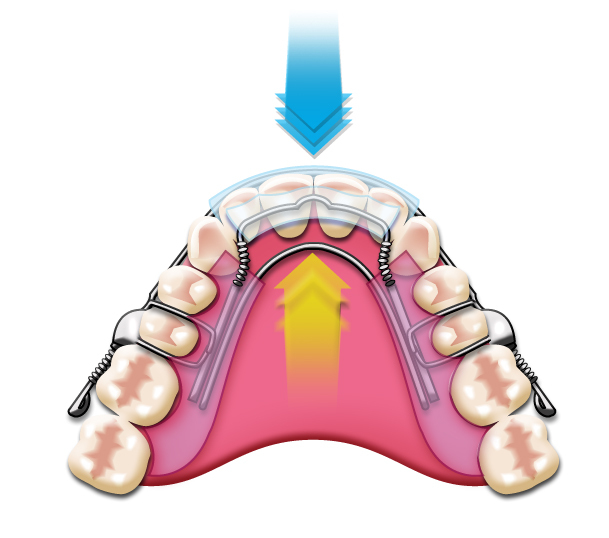 This is six months shorter than the average treatment with traditional fixed metal braces. The other major advantage of the Invisalign system is that the braces are removable. This makes cleaning the teeth easier and more effective, something that can cause problems with fixed braces. 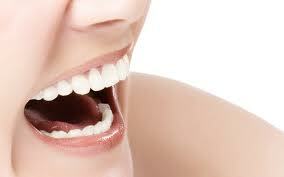 It also means that patients can remove the braces for important social and sporting occasions. As long as the brace is worn for a period of twenty hours a day it will still be equally as effective. The fact that Invisalign braces are so low impact makes them ideal for patients in their difficult teenage years. The braces are almost impossible to see so younger patients will have no need to feel self-conscious about wearing braces. To learn more about the Invisalign system you can ask a dentist for more information or call us at 177-6450704. Having straight teeth is fundamental to having a beautiful smile. For many of us not blessed with naturally straight teeth there is the option of orthodontic teeth straightening.If you have suffered from the negative effects on your self-esteem and happiness from uncomfortable or irregular teeth and jaws, braces can help to turn your hidden smile into a stunning straight grin, using a variety of options. For adults requiring braces, whatever your orthodontic needs, there exists an option to help achieve the straight smile you’ve always wanted to project yourself with the confidence you need in both your personal and professional life.Orthodontics braces have ability to enhance the size and shape of your smile, allowing you to shine through and leave behind your insecurities. The Inman aligner has been described by orthodontic dentists as the ‘greatest innovation in cosmetic dentistry since the porcelain veneer’. This is a bold claim given the incredible transformative power of porcelain veneers but the results attainable using the Inman aligner do seem to suggest a revolution in orthodontic straightening. The Inman aligner is an incredibly effective and easy way of straightening teeth with results visible in most cases in a remarkable six to sixteen weeks. If you have always wanted straighter teeth but never liked the idea of having brackets stuck to your teeth, the Inman aligner straightens quickly but is also completely removable, making eating a lot less of an ordeal than with fixed braces. Inman aligners are perfect for aligning teeth prior to the application of veneers and in some cases the results are so effective that veneers are not even needed after straightening. The aligner works by using the power of a coiled spring to create room for the front incisors to move into and straighten. 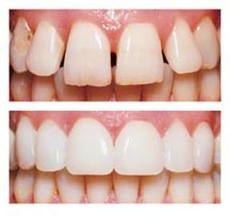 By concentrating the efforts on the visible front teeth, the aligner is able to gain such rapid straightening results. The only part of the brace visible to others is a small and discreet metal bar that runs along the front of the teeth but given the speed of treatment most people won’t even have time to realise you are wearing a brace. The Inman aligner is available now from our dentists to provide you with the perfect straight-teeth smile you have always wanted. Its remarkable straightening power combined with the short treatment time make the Inman aligner the ‘missing link’ between cosmetic dentistry and orthodontic straightening. Made from clear plastic, Invisalign takes all the embarrassment out of having orthodontic treatment – which generally lasts for anything between 6-18 months.Besides the cosmetic benefits, a key advantage of invisible braces is that they are more hygienic than traditional metal “train tracks” which run across the teeth.The Invisalign brace is essentially a tough, clear mould which is worn for around 22 hours each day. It can be removed for eating, drinking, brushing and flossing.The invisible braces come in a numbered set, designed and fabricated especially to fit over your teeth. The first mould is worn for two weeks, after which it can be thrown away and replaced with the next mould in the series. Over time, the teeth are slowly guided into a new, straighter position, to give you a perfect smile. They are virtually invisible, so no-one can tell you’re wearing them unless they’re up close and looking for them!They are removable, enabling you to clean every part of your mouth and not worry about food trapped around brackets. They are painless to have fitted, since they don’t connect to your teeth – unlike traditional metal braces made up of wires and springs. They don’t irritate your gums, cheeks, and tongue, or cause sores. A computer simulation shows how you teeth will move during treatment and what the end result with look like. They can sometimes cost more than traditional braces. They are only suitable for minor tooth irregularities, and are likely to be ineffective against moderately or severely crooked teeth. They can cause a slight lisp, although this affects everyone differently.Sometimes traditional braces are required after Invisalign treatment to correct stubborn problems. They take six weeks to be designed, fabricated, and shipped from the Invisalign factory and you may need more aligners after the original set. Invisible braces can be used to effectively treat all kinds of crooked teeth problems, such as overbites, underbites, crowding, crossbites and gaps between teeth. 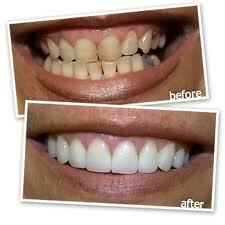 However there are some situations in which this form of cosmetic dentistry may not be suitable. Your dentist or orthodontist can advise you, but generally speaking, if a lot of movement or tooth extraction is needed Invisalign will probably not be your best option. In this case it’s more appropriate to have traditional metal or ceramic braces fitted, that enable close monitoring and adjusting.After an initial consultation, your orthodontist will take a mould of your teeth, as well as x-rays and photographs from different angles. These are used to produce your new Invisalign braces.After about six weeks, the braces will arrive at your orthodontist’s surgery, along with a 3D simulation that shows the expected movement of your teeth over time. You’ll also be given instructions on how to wear and maintain your braces, which you must follow closely for the best chance of success.